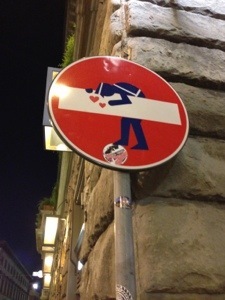 This traffic sign in Florence, Italy seems to be managing risk in a positive way. What do you think? This entry was posted in Uncategorized and tagged Risk Management by Glenn Briskin. Bookmark the permalink.